This is an ideal introduction for all embarking on a degree in Politics or International Relations. 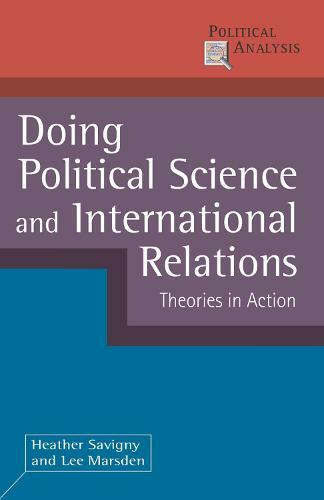 Starting from the premise that the 'doing' of political science is an active, and interactive, process of critical evaluation, it addresses the crucial question of how - as well as what - we should study. The book examines a wide range of theoretical perspectives and shows how they can be usefully applied to questions such as 'Why do states go to war?' and 'In whose interests does the political system work?' Chapters are organized by core areas of study - such as power, the state, policy, institutions, the media, security, political economy - and show how theories can be used and applied within each topic.